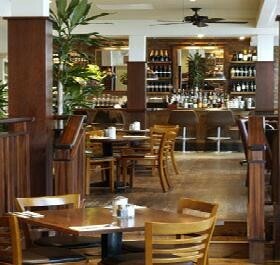 Tootsies, a 24 site restaurant chain established in the early 1970s in Notting Hill Gate, West London, selected chose the Uniwell restaurant EPOS system. Each Tootsies restaurant has been fitted with extensive cabling for a broadband infrastructure based around the latest Uniwell touchscreen Epos terminals, Version 5 of the StockLink Enterprise head office software and a complete back office system. Extra points and capacity have been planned into the installation for adding further terminals, voiceover and IP technology. Harry Ramsden's Restaurants are part of Select Service Partner (SSP). SSP owned by Compass Group PLC are the world's largest foodservice organisation with annual revenues in excess of £10 billion and employing more than 360,000 people in over 90 countries. This philosophy of only the best will do was reflected in the decision to select MCR Systems to rollout a new Uniwell restaurant EPOS system for all of the Harry Ramsden’s establishments. This includes the traditional full service fish and chip restaurants that seat up to 200 people, with fully licensed bars and takeaway facilities and the Express restaurants designed for people on the move.